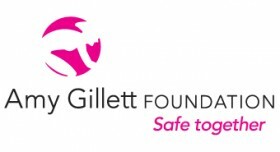 Bicycle safety charity the Amy Gillett Foundation is calling on all motorists to make sure they stay at least a metre away from cyclists on Fatality Free Friday. New research just conducted in Queensland shows that the introduction of the one-metre rule legislation is widely supported and is changing behaviour. Queenslanders overwhelmingly support laws governing minimum overtaking distances when passing bicycle riders, a new public opinion survey has found. Almost two-thirds of bicycle riders in Queensland have noticed an increase in the space drivers give them since the Queensland Government’s landmark trial legislation, known as the one-metre rule, was introduced in April 2014. The results have been welcomed by bicycle safety charity, the Amy Gillett Foundation, who commissioned the research. “The latest research shows the Queensland Government is absolutely on the right track with this legislation,” said Amy Gillett Foundation CEO Belinda Clark. “The Queensland Government has not only trialled the legislation but backed it with a highly successful advertising campaign – “Staying Wider of the Rider,” she said. Three-quarters of Queenslanders support the new laws and believe the “Stay Wider of the Rider” campaign is effective in communicating the legislation. Ms Clark said while changing the law had resulted in drivers giving riders a wider berth, the survey showed driver attitudes were also more positive. “The findings reinforce anecdotal evidence that there has been a marked improvement in the space drivers give to bicycle riders since the introduction of the legislation. “We think that bicycle riders are safer as a result but there is still work to be done. “While around three-quarters of Queenslanders support the legislation and believe “Stay Wider of the Rider” to be an effective message, one in three are still unaware of the legislation and less than one in five people could recall the campaign unprompted. Ms Clark said the survey also showed there was no longer a “them and us”, or a great divide between the interests of bicycle riders or drivers; increasingly, they were both. “Nearly one fifth of Queenslanders ride a bicycle at least once a week, and that is increasing. “While the Foundation has long campaigned on ‘a metre matters’ we all have the same aim here – to make our roads safer for everyone, and we are working together to achieve that,” Ms Clark said.